Nourishing balm for dry skin. Hinders aging processes and restores the fresh look of the skin. Nourishes, moisturizes, softens and smooths the skin. Suitable for a damaged and very sensitive skin. It has a curative effect on the irritated, reddened or painful skin. 100% organic bio, USDA-certified product. Ecomaat's nourishing face balm with Irris extract Natural & Deluxe contains an extract from the roots of wild Irris. Its aromatic compounds hinders the aging processes of the skin and refreshes it. It is suitable for dry and damaged skin. Intensively nourishes in depth, moisturizes, softens and smooths the epidermis. Soothes skin prone to dryness and improves its elasticity. 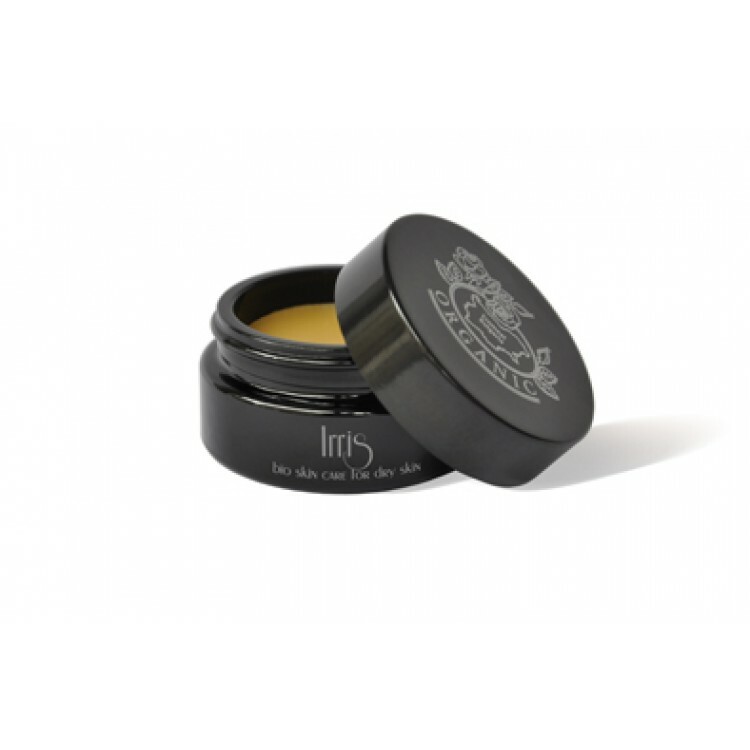 The Irris balm restores the skin and improves its moisture-retaining properties. As a result the skin becomes more elastic, it gets tighter and more radiant. Apply to well cleansed skin after warming a small amount of the product between your fingers. You can always use the Irris balm for irritated, red or itching skin. Vegetable oils of: Simmondsia Chinensis, Vaccinium Macrocarpon Seed Oil, Prunus Armeniaca Kernel Oil, Cocos Nucifera Seed Oil, Sesamum Indicum Seed Oil), Oryza Sativa Bran Oil, Elaeis Guineensis Oil, Theobroma Cacao Seed Butter; Beer Wax (Cera Alba), CO2 Fructus Rosa canina, Iris Germanica Florentina Root Extract, Aloe Barbadensis Leaf Extract.